No matter if you are a website owner, if you are a theme developer on wordpress.org or themeforest.net, if you want to extend your theme with a powerful advertising system you can integrate WP QUADS very easily. A few of the most popular themes are already using WP QUADS. Most themes offer specific advert positions to show ads below, above or beside special content elements like sidebars, headings, featured posts boxes and many more. They also need a system to show ads only for desktop and mobile devices. 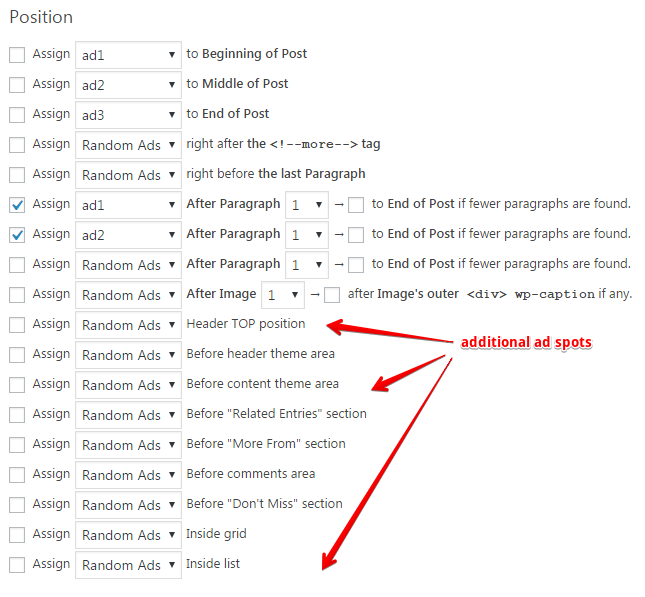 You can create ads in WP QUADS from the tab WP QUADS -> Ad Code. There you also find the name of the shortcode of a particular ad. Copy and paste that code into your theme template file in place where want to see it later in the front page of your website. Ask your theme developer if you are unsure about the correct template file name. You can modify the value of location and description to your need but make sure that location must be a single word and must not contain any special or space character. Next open your desired theme files. In this example we are adding custom ad places into your themes header and footer. The corresponding theme template files are called in most themes footer.php and header.php. 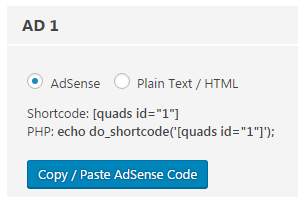 Use the code below and paste it there where you want to show a custom WP QUADS ad position on your site. Here we use the header ad spot.